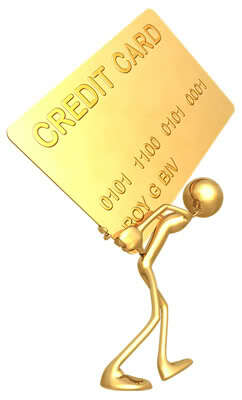 If you have credit card debt the best goal setting activity is to make a plan to get out of debt. What is the main reason why most people fall into credit card debt? It is not the unfortunate circumstances of an unforeseen event that leads to credit card debt. No, the main reason is the sense of entitlement - the “I want it now” syndrome. The credit crisis is about people living beyond their means. Think back to your life as a child before you had a credit card. Do you remember what you had to do if you wanted to buy something? You most likely had to come up with a goal setting activity to save up your allowance or babysitting money. 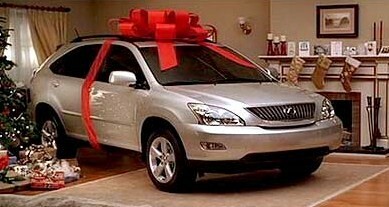 Maybe your mom or dad bought it for you, but it probably took some convincing. Whatever the source you had to work for it and most likely you had to wait before you could purchase it. Incurring credit card debt was never an option then. All that changed when we decided to get a credit card (or two). Credit cards allow you to purchase something without having to have the funds at the moment. All that is required is to pay it back in a month’s time. Need more than a month to pay it back? No problem, says the credit card company. They will just charge you a monthly interest and suddenly you start acquiring credit card debt. Unexpectedly that big screen TV that was on sale is not such a great deal if you cannot pay it back right away, therefore, creating debt. 1. Get rid of your credit cards all together and stop putting yourself in debt. Start using cash and when it’s done, so are you with spending. Also, you tend to spend less when you physically see the money leaving your wallet rather than just charging it. 2. Reduce your credit card limit to avoid the temptation of putting yourself in credit card debt. I remember being in university and the credit card I had allowed me to charge my entire year’s tuition on it and I did. But I was smart enough to have saved for it beforehand so it was paid off by the end of the month. But I definitely did not need to have access to that much money on a monthly basis. Call your credit card company and ask them to lower your limit if it’s too high. My rule of thumb is to figure out how much you earn monthly and subtract all the automatic withdrawal and expenses that you do not use your credit card for. The amount you should have left should roughly be your limit. 3. Keep yourself down to one credit card therefore it’s easier to keep track of your spending. 4. If you are tight for money stop using your credit card as a loan since it has a high interest rate. Instead take out a line of credit which is usually slightly over the prime interest rate. 5. The simplest goal setting activity to get yourself out of credit card debt is to remove yourself from spending opportunities if you are tight on cash or want to start saving. Do not go to mall to browse. Very few of us have the will power to turn our heads the other way when there is a sale. Remember a sale is not a sale if you cannot afford it. Saving money on an item and not being able to afford it is putting you in debt. If going shopping is a social thing for you, leave your wallet behind and do not let your friends not to lend you money. 1. If you are good with your money and you know you will be able to save it, a credit card gives you and extra month to save up for it. 3. I use credit cards that offer you a rewards system. For ever dollar I spend I earn points, which in turn saves me money. I can use my points towards car washes, gift cards or free hotel stays. So it is up to you. Your credit card can be your best friend or your worst nightmare. The choice is yours but follow these tips and avoid putting yourself in credit card debt. Click here for more goal setting activity tips.